I built a home ESXi lab, which I will be documenting a bit more later. Before I do though I wanted to document some of what I've learned about RAID before I forget it. 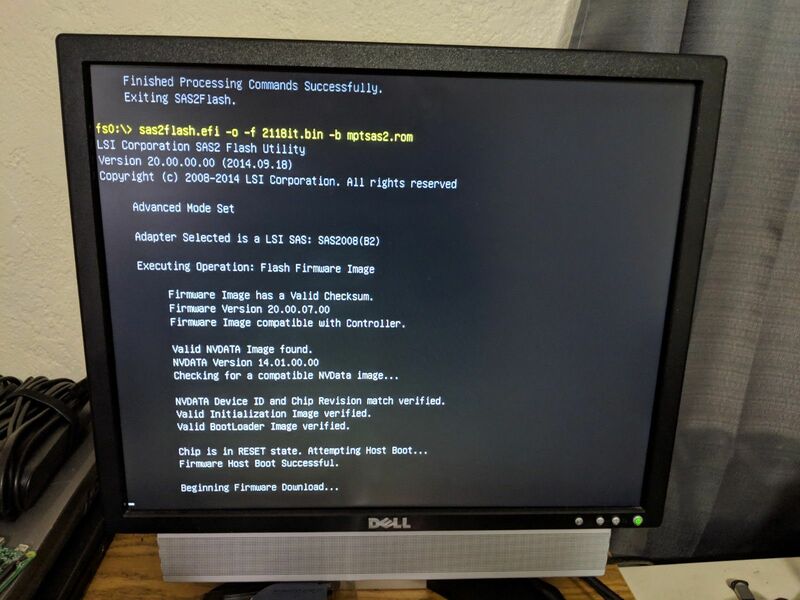 Edit: This started out as more than just flashing firmware, but it got pretty long, so this will be part one of a number of articles. If you're reading this, I've only been playing with this equipment for about a day and a half. I'm no expert and might get terms and other details wrong. As always, I hope this helps someone in a similar situation, but if you're reading this while standing in front of your production KVM, you might want to take a step back. Shuttle XPC Cube SZ270R8 with the latest BIOS (111, 2018/07/20) as of this writing. 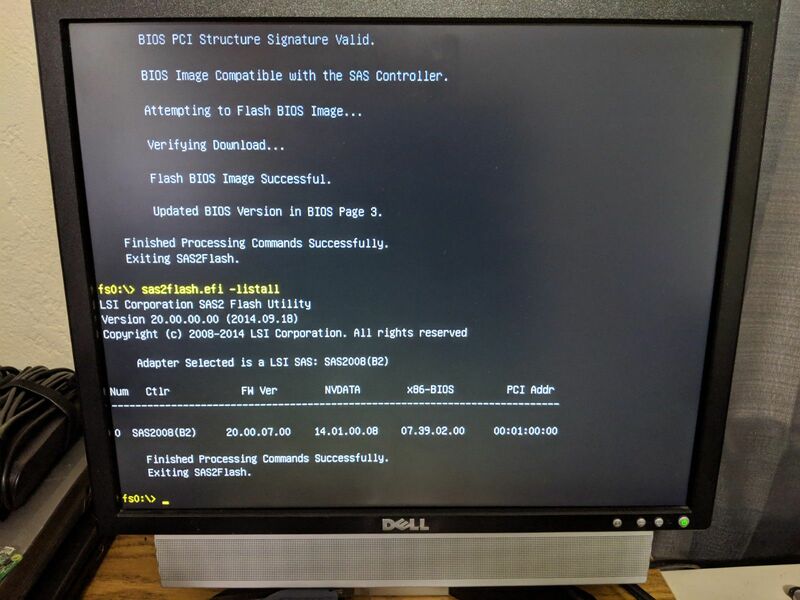 ESXi does not work with software RAID. Turns out RAID built into motherboards does not count as hardware RAID though. See, I'm learning already. 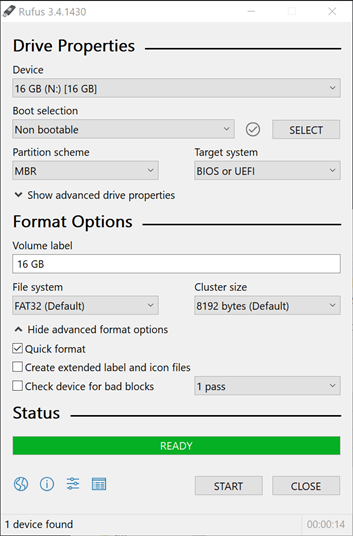 While you do adjust the RAID settings in BIOS, Intel Rapid Storage Technology (RST) relies on OS drivers. It's not the same as having a dedicated (and VMware supported) card. 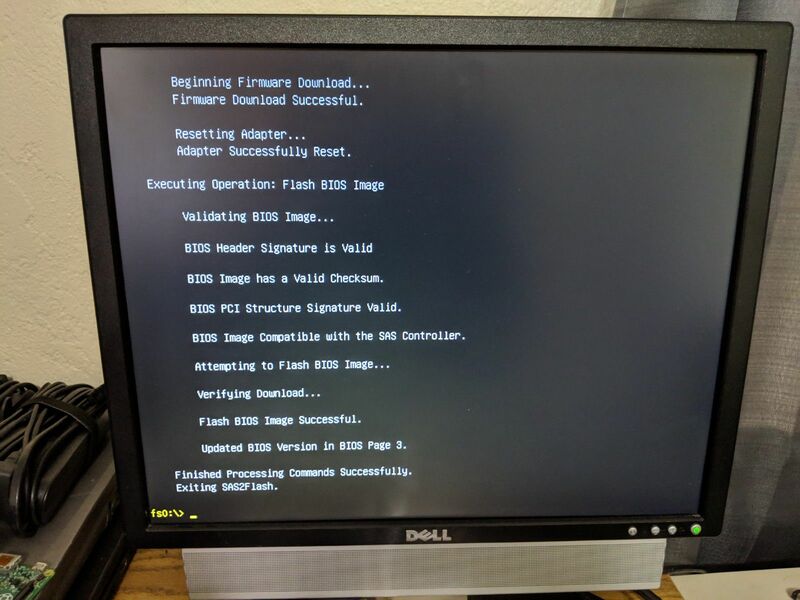 Access to the LSI 9211's BIOS is not possible (to the best of my knowledge) in UEFI mode. So to access anything in the BIOS, you have to put your system in legacy mode, wait for the MPT2BIOS prompt and the CTRL+C prompt. 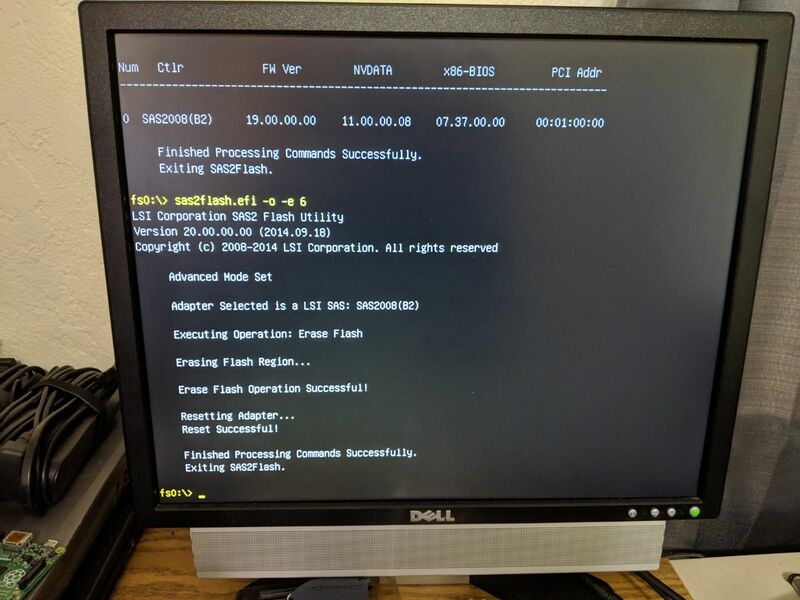 Flashing the LSI 9211 was unreliable in legacy mode for me though, so set your system to UEFI for this. This one caused some issues for me. There's a few different guides out there that seem to differ in subtle ways (references at the bottom). Unfortunately, this seems to be motherboard/system dependent, so this won't be a universal guide. It seems to mostly depend on if you try this in legacy BIOS or UEFI. Legacy wouldn't work for me though, so ere's what did. Create a Rufus USB with the properties below. Next, find the latest BIOS for your Shuttle. It doesn't appear that the Shuttle has a built in EFI shell, and we need one. In my case, they can be found here. Unzipping this will give you a startup.nsh and three folders. We don't need shell (where the new motherboard BIOS is) or DOS though. 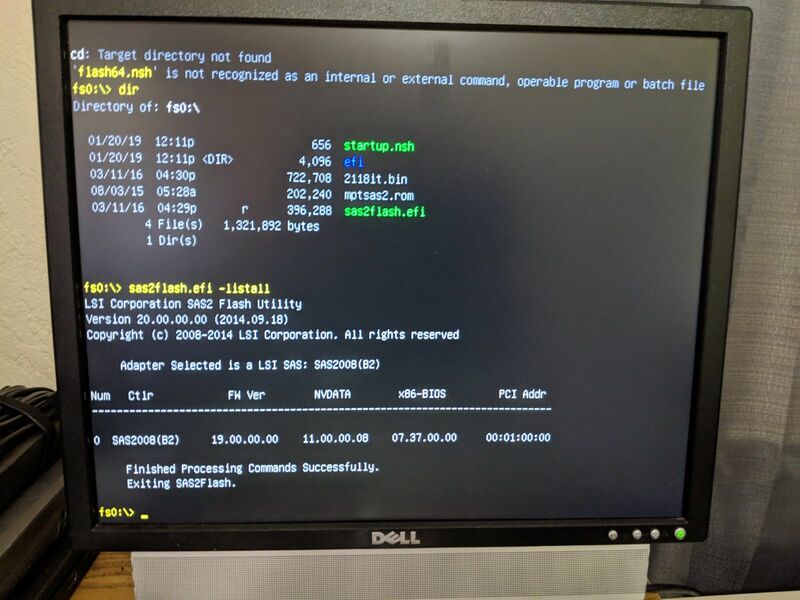 So copy the efi folder and startup.nsh over to your USB drive. I included SHA256Sum's in the output in the event these files disappear and someone has to hunt them down. the -listall command should, of course, list your current card and firmware. Then we erase the flash memory. Rumor has it if you shut down or reboot at this point, your card is bricked, so... don't. Then we give it the new firmware and bios. Then we check it again and we should see the card with our new firmware. You can see my old FW Version (19) in the first step. More output from step 3.